Do not view the DSA Driving Theory Test as something of an inconvenience. Instead view it as a way to develop useful knowledge that could save your life or that of someone else. If that seems like a grim thing to think, then remember that new drivers in the first couple of years after passing a test are statistically more likely to be involved in an incident of some sort. 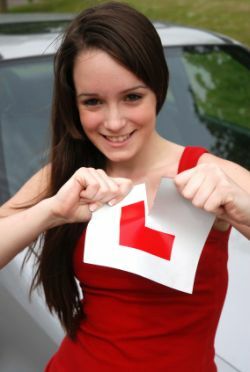 However if you have studied for the DSA Driving Theory Test and not simply learnt the answers but understood the theory and know why the theory is what it is, then you will give yourself useful knowledge that could be essential in particular situations. For instance, if you are driving in tricky weather conditions and there is lots of surface water, knowing whether you should be in a high gear or a low gear could have a direct impact on your wellbeing: putting theory directly into practice. Consider that also there is no substitute for practical experience, so the DSA driving theory test is not something you study and learn about just whilst you are on this site or have your head in a textbook of questions. Apply theory all around you, when you encounter road signs think about what they mean, and when you are in particular situations such as joining a dual carriageway, overtaking, going around a roundabout - infact just about anything - you are putting the theory of driving as studied in the DSA Driving Theory Test into practice, you just might not think about it in those terms. Making the theory element more familiar and considering how it does relate to what you do when you are actually behind the wheel with your instructor will help it seem less remote and much more real and important, as there is no doubt it is. In terms of what matters to most students, it is trying to pass the DSA Driving Theory Test first time. And to help in that end, we have excellent material available including the official DSA questions for the multiple choice element of the test for car drivers on this site, therefore please do sign up and familiarise yourself with the questions.